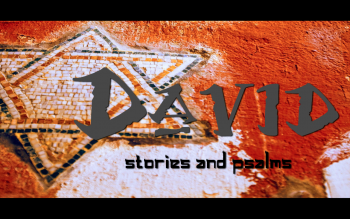 King David is one of the lead characters in entire Bible. As we read through his story, we follow his journey through great heights of victories, the lows of running for his life, being crowned as king, his struggles with the seduction of power, and later his repentance and humility before God. But it is not just his choices that make him a powerful model of a godly leader, but also his example of emotional health. Throughout the ups and downs of his life we see a man who is aware of the emotions going on inside of him and models for us sharing those emotions with God in his songs and poems recorded in the book of Psalms. During this teaching series we will look at both the events in his life and choices he makes, along with the honest outpouring of emotionally honesty he displays to God. Join us Sundays at 11 a.m. for a journey into more honesty with ourselves – and with God.